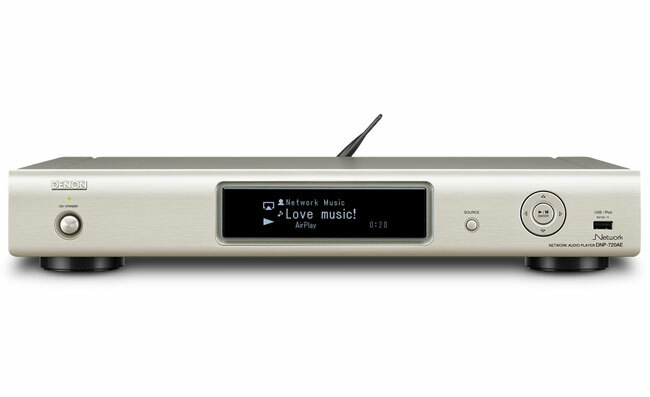 This week Denon have launched their new new Airplay equipped DNP-720AE network audio player which can be attached to your current music system enabling you to stream music directly to its from your iOS devices. Together with Internet streaming, Internet radio, Napster and Last.fm via Wi-Fi or a wired network connection. If you have Android devices you can use the included DLNA 1.5 streaming support, as can any other DLNA connected devices and NAS drives. The Denon DNP-720AE is also equipped with a USB port on the front for wired playback too and there’s even an FM and AM radio packed in with RDS and will be arriving in stores in the next week and will be available to buy for around $660 or £429.99.